Mittens or gloves are a necessary accessory in winter. They perfectly warm your hands and keep the warmth. 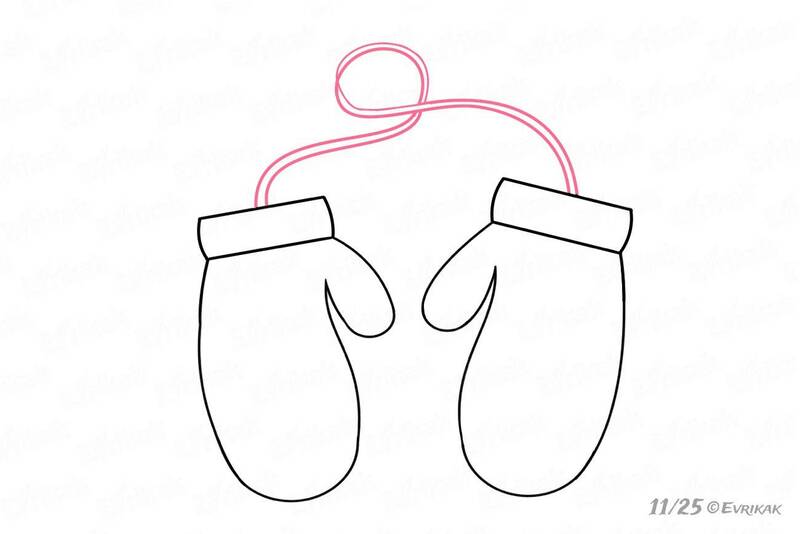 The fingers of mittens are made together, it differs them from the gloves. 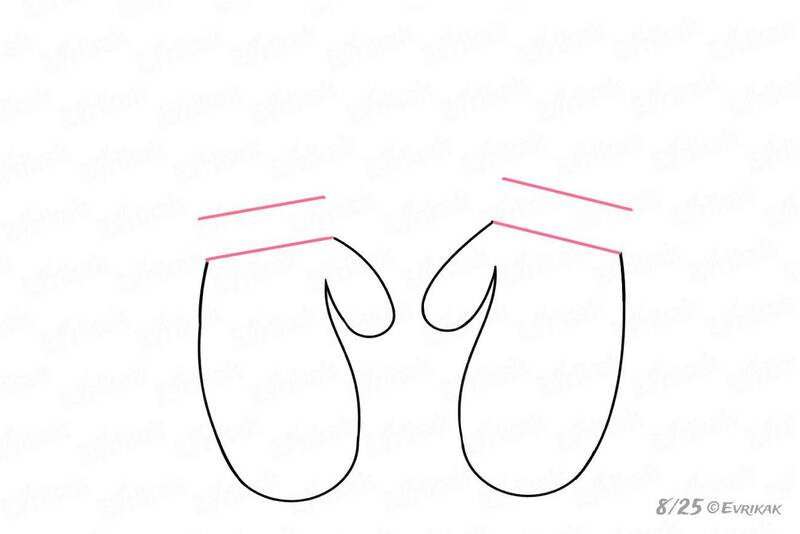 The thumb only remains separate. If you have the mittens, you can put them on the table, and to draw from them. 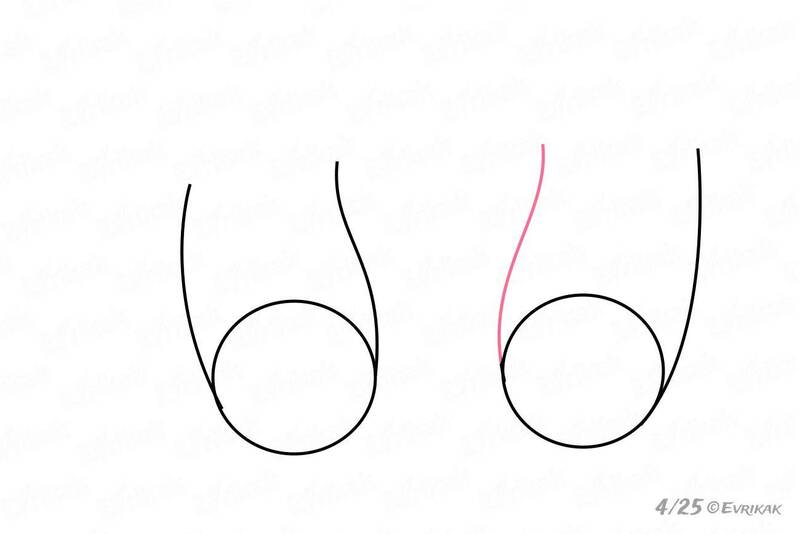 We offer you step by step instructions of how to draw this garment without any difficulties. 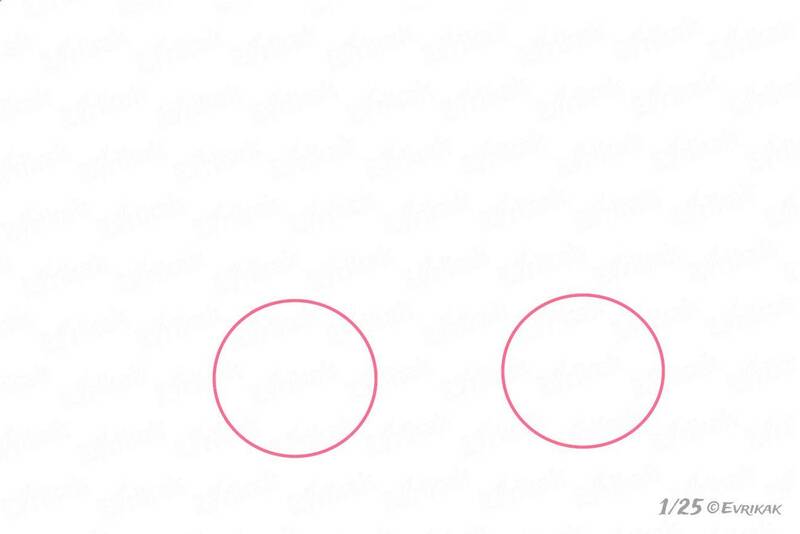 Our first step will be to draw the auxiliary figures – the circles. You will be able to draw the even figures with the help of your compass. 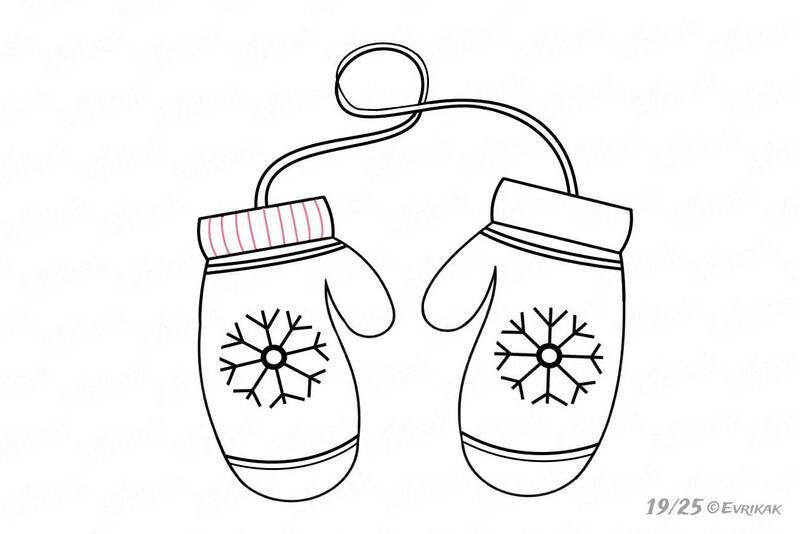 Draw the contours in the form of curved lines because the mittens are slightly rounded. 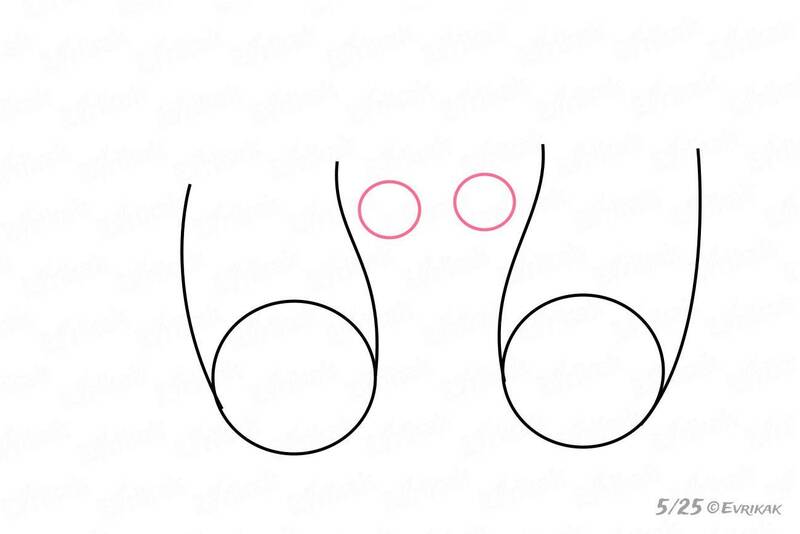 The contour curves a little bit from the inner side, the thumb is in this area. Try to draw the identical lines because the mittens are symmetrical. When the contours will be ready, start drawing the thumbs. We’ll need two very mall circles for this. 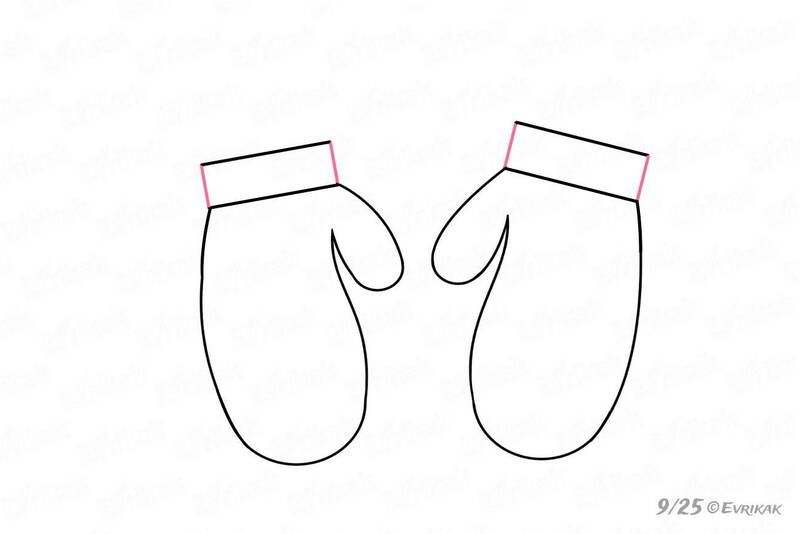 Connect the figures with the mittens with the help of rounded lines. Draw the upper lines a little bit higher to make it possible to draw another details. Don’t press on your pencil too much to make it possible to erase the line if it’s wrong. The mittens end with small knitted bands which help to keep the mittens on the hands. Erase unnecessary figures and draw two straight lines over thumbs. Connect the knitted details on the sides. Round the side lines. If you look at the mitten, you can see that it has a rounded shape. 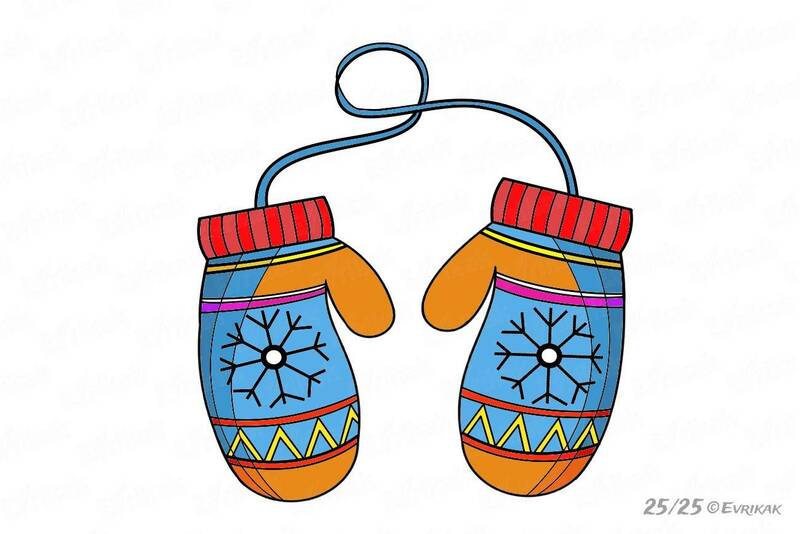 Classic mittens are sold with a special strong thread, it helps the mittens not to be lost. 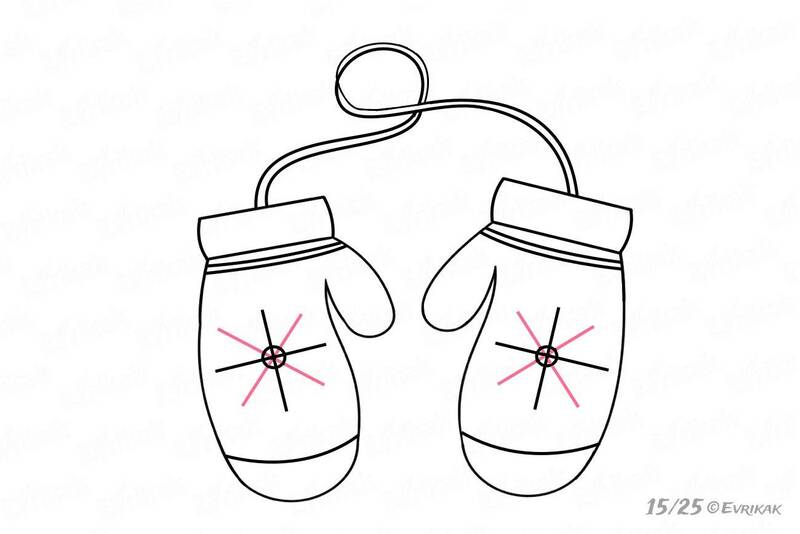 Draw it from the mittens’ centres. It’s twisted in a loop in the middle. 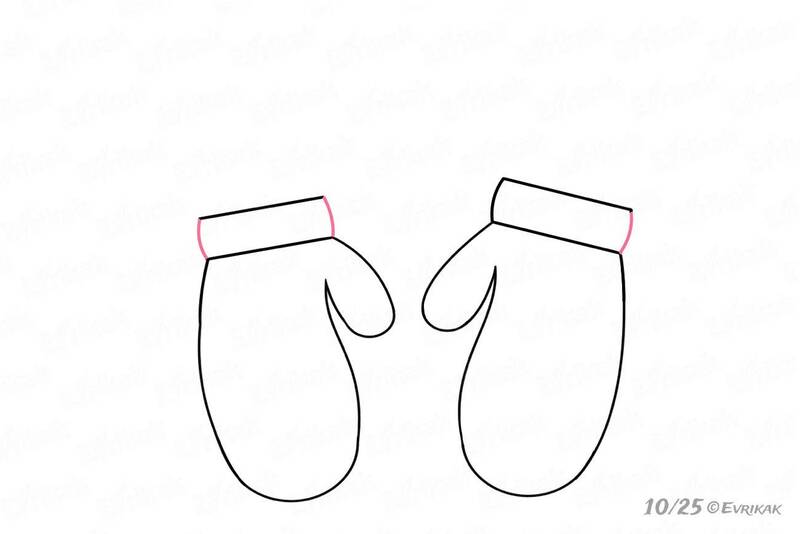 You can often see the patterns on the mittens. It can be straight lines closer to the basis. One more line is on the mitten’s tip. 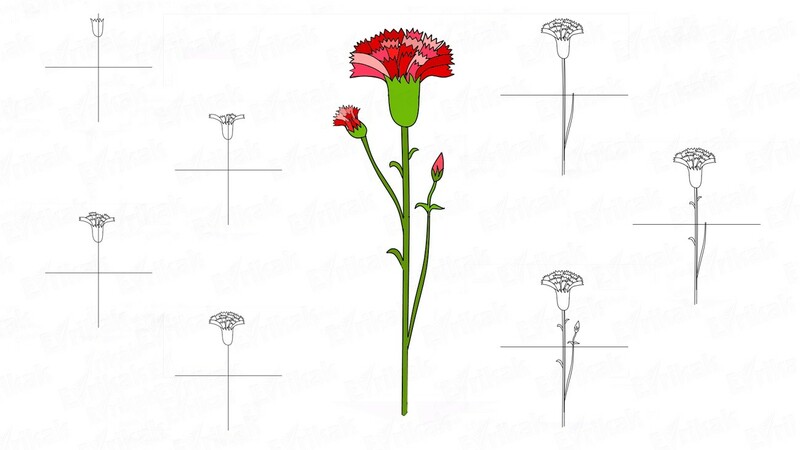 The patterns are slightly curved, they follow the item’s form. The main pattern of our mittens is the snowflakes. It’s easy to draw them. 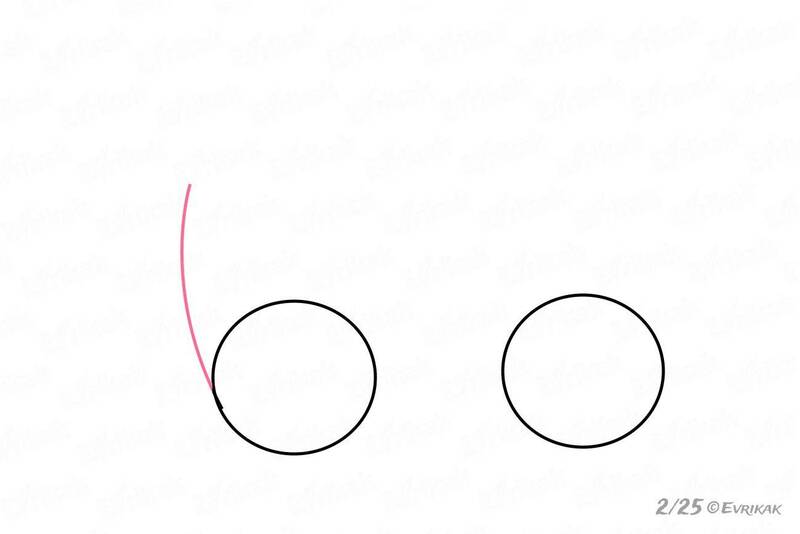 Draw the short horizontal and vertical lines at first. Add some more lines then. It more and more looks like a real snowflake with every step. Encircle carefully the circles in the center. Each main line has the side ones. You need to draw them. 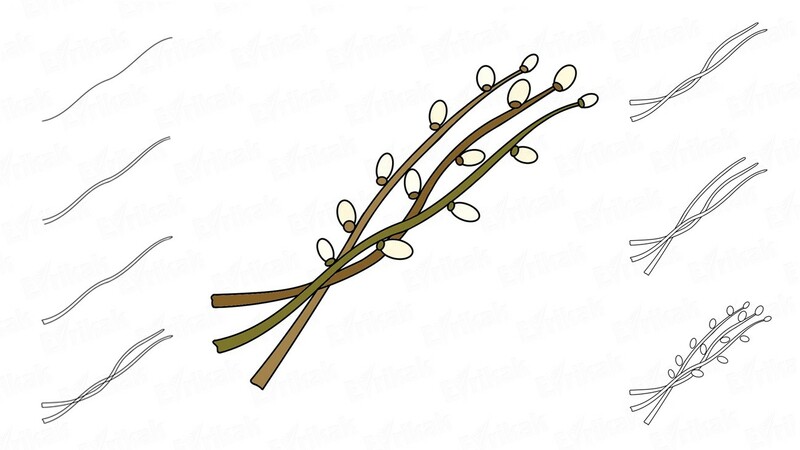 These lines are similar to tree branches. They make the snowflakes look fluffy. We’ll go to the basis again now and draw some straight lines there. 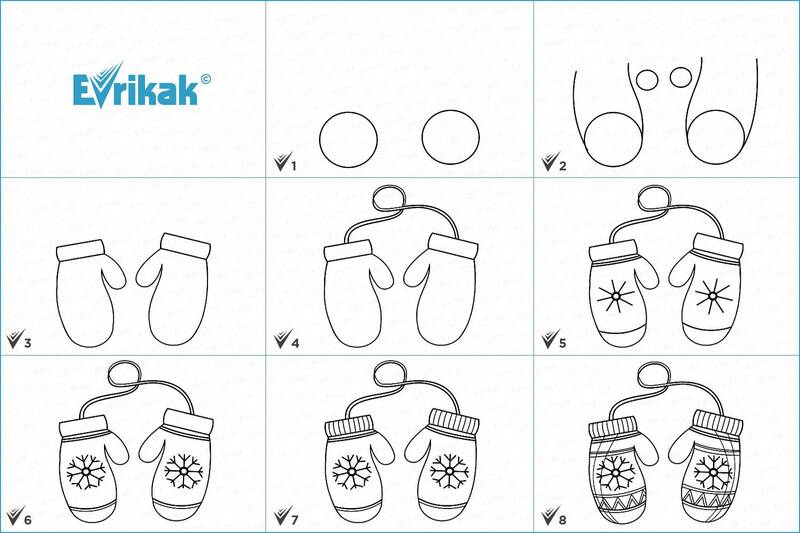 Follow the instruction carefully while drawing to make all the details. The more patterns you’ll draw, the brighter will be the mittens when you will color them. 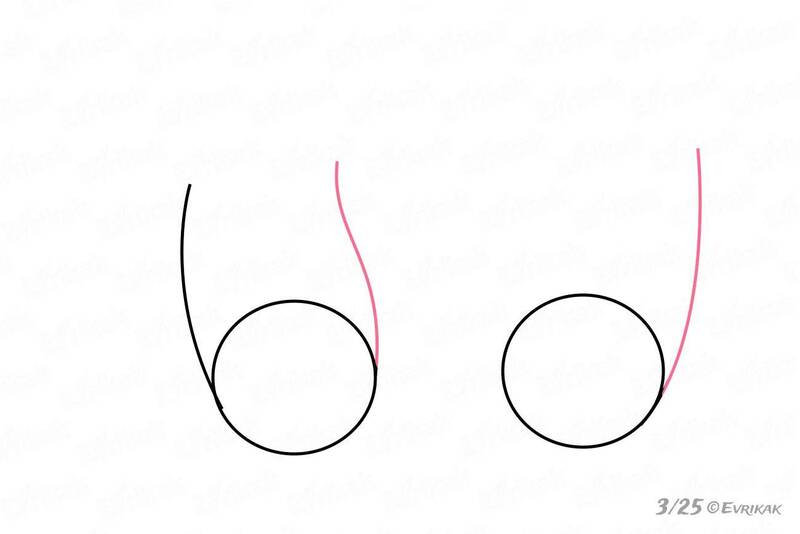 You can add some additional lines in the width and in the length. You can draw triangles at the bottom. Their angles are in touch with the lines. 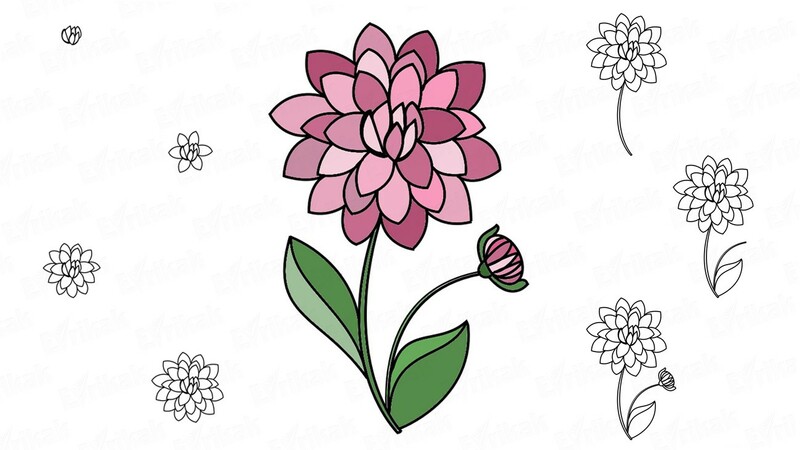 Add some small details to enliven the drawing. 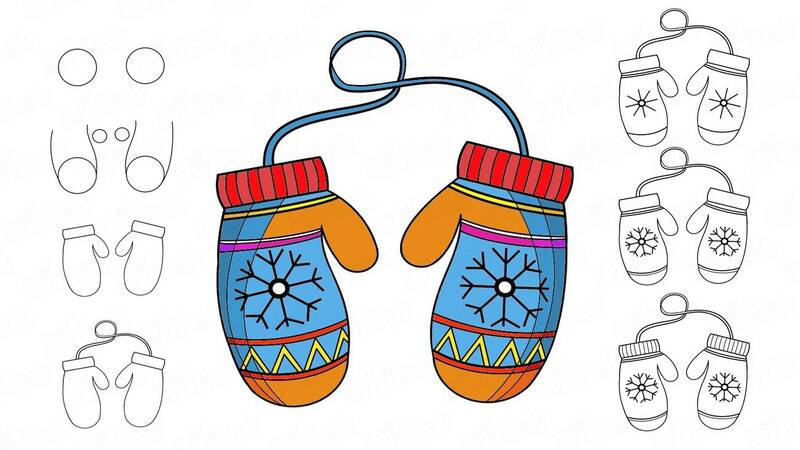 You can color the mittens in any color you want. 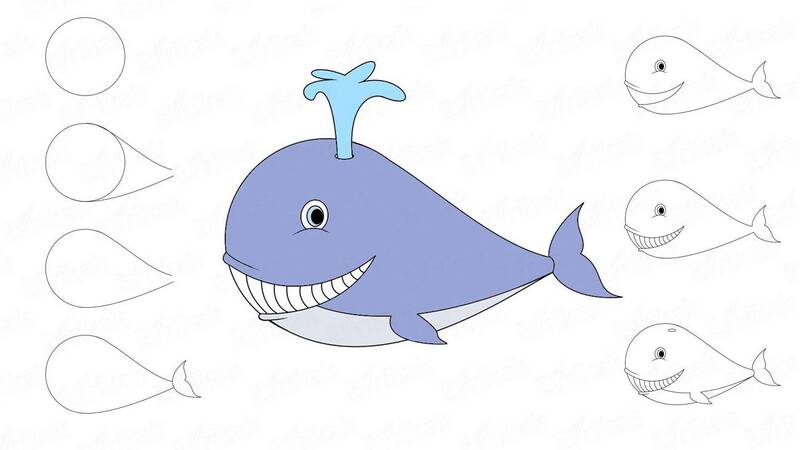 It’s better if you and your child choose the colors which your child likes. You can not only draw the mittens on our website but you can also color them. We’ve prepared an online coloring of the winter mittens for you. It’s a very exciting activity.